Toxic tort law is designed to protect people from personal injuries (and property damage) caused by exposure to chemicals. Mechanisms of injury can include inhalation, absorption through the skin, and oral ingestion. These cases are usually brought against polluters and chemical manufacturers. The cases are very expert intensive and can involve hundreds of thousands of documents. It is often difficult to prove causation in these cases because of latency (delay between exposure and onset of symptoms). Toxic tort injuries require very specialized attorneys who know how to handle complex cases involving issues of epidemiology, causation and liability. An in-depth analysis of all relevant samples must be conducted. Lawyers who handle such cases must have the resources to take on large corporations. We are Certified Trial Attorneys who have helped hundreds of families by winning multi-million dollar verdicts and settlements in toxic tort cases. Our job is to work for you – to handle the complex litigation and the millions of documents that can come from asbestos, mold, dumping, environmental poisoning, and other toxic tort litigation. If you or a loved one was exposed to a toxic substance in California, you owe it to yourself and your family to contact us. 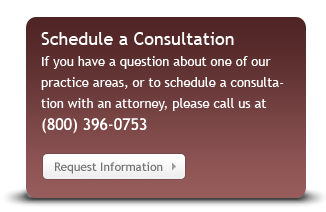 If you live in Northern California, the advantage is clear: we are experienced big-firm San Francisco attorneys with decades of experience who have started a specialized practice to serve you better. What if you don’t live in California right now, but you lived or worked here in the past? 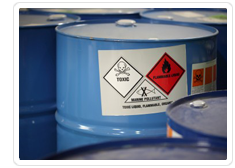 If you were exposed to a toxic substance while in California, you should contact us because we have the experience to put California’s special procedures to work for you. Although you could sue in another state, most states take 3-5 years to process a case. If time is of the essence, it is possible for us to get a case to trial here in California in just months. The attorneys at Harowitz & Tigerman represent clients throughout California including San Francisco, Oakland, San Jose, Sacramento, Los Angeles and other communities in the state of California. Contact us to put our experience to work for you.